Originally titled ‘L’Album du Fanatique de L’Aviation’, but the title was soon shortened ‘Le Fanatique de L’Aviation’ and further shortened to the current form in the early 1980’s. One of the oldest established aviation history magazines in France. Typically includes multi-part feature articles covering a good mixture of civil/military and historical/warbird subjects, plus aircraft preservation news, book and kit reviews etc. Especially good on the lesser known French aircraft types. A4 size, glossy, with 68 pages each issue, illustrated with b+w/colour photos, 3-view line drawings, colour profiles etc. First issue dated May 1969. The publisher has also produced a number of ‘Hors Serie’ specials. Each one covering a unique subject, with well-researced original text and previously unknown photos. 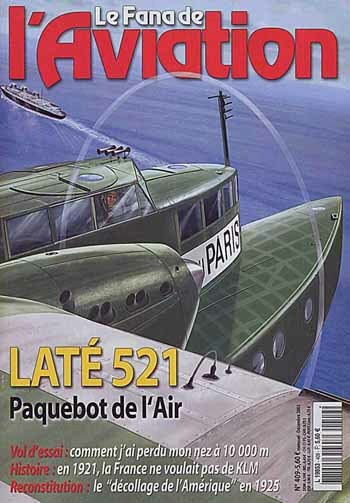 See other aviation-related magazines from France.